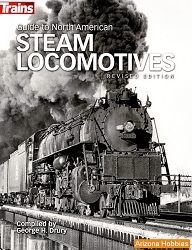 This book is not about detailed photographs of locomotive servicing facilities as the title suggests. Rather, steam and diesel locomotives are pictured at servicing facilities with the facilities as part of the photograph. 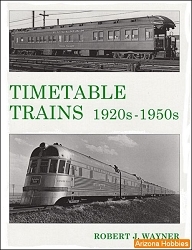 The selection of photographs is of railroads that had facilities in the mid-West plus a couple of photographs of Canadian and Mexican steam. No one railroad's photographs dominate the book. 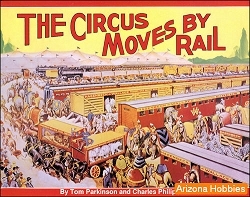 B&O, Nickel Plate, Rock Island, Milwaukee Road, C&NW, NYC and others are pictured. Spanning a nearly 40-year period from 1948 to 1984, legendary photographer Robert P. Olmsted visited engine terminals and roundhouses from Ohio to Nebraska, including brief visits to Canada and Mexico. This book showcases his rich black and white photography, featuring beautiful portraits of steam and diesel locomotives. White River Productions, softcover, 56 pages, 8.5 x 11 x .25 in., Black and White photograps.